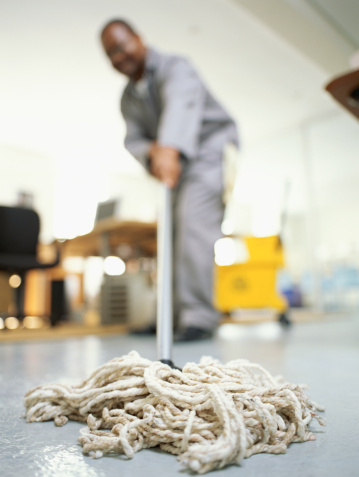 We provide commercial and residential cleaning services in Salem, Oregon. For commercial customers, our minimum service is once weekly. For residential, there is no minimum. Most residential customers are on a weekly or twice monthly schedule. As a leader among Salem commercial cleaning companies, we take pride in our green practices and use of high quality products. We were the first cleaning company in Salem to be EarthWISE certified by Marion County Environmental Services. We are also WBE certified by the state, and have our BOLI license. We specialize in the daily and weekly maintenance of office buildings, industrial buildings, and commercial buildings. We also provide residential cleaning. If you've got a business or home that needs cleaning, just give us a call. We provide a free, written quote and proposal with references. Our founder and president, Jennifer Arends, performs all of the walk-throughs and estimates herself. When you leave the cleaning to AAA Cleaning Service-Metro, you can trust the job is in good hands. Copyright 2012: AAA Cleaning Service-Mero, Inc. | Commercial Cleaning Corvallis | All rights reserved.